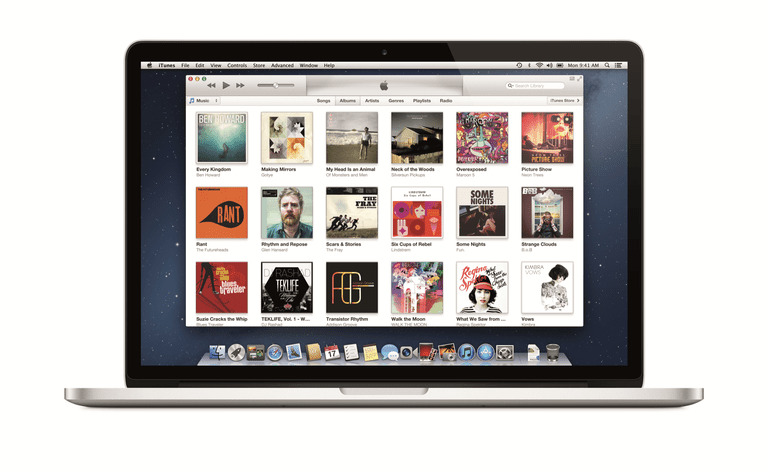 iTunes can play a wide range of media files, including those you purchase from the iTunes music store. Most of the time, this seamless ability to play purchased music is just that: seamless. But once in a while, iTunes seems to forget that you're authorized to play your favorite tunes. This can happen for several reasons, but luckily, you can easily fix all of them by following this guide. You launch iTunes, and as soon as you start to play a song, iTunes tells you that you're not authorized to play it. Maybe you're listening to your favorite playlist, and when you get to a certain song, the "you're not authorized" message pops up. Although the interruption is a bit maddening, you can quickly authorize iTunes on your Mac by selecting Authorize This Computer from the Store menu in the ​iTunes app and then entering your Apple ID and password. Problem solved, or so you think. The next time you try to play the same song, you get the same "you're not authorized" error message. Several issues can cause this continuous loop of requests for authorization. This seems to be the most common cause of the authorization issue. This may be because your iTunes library includes songs you've purchased, as well as songs that other family members have purchased. If you enter your Apple ID and password when prompted, but the song still asks for authorization, there's a good chance that it was purchased using a different Apple ID. Your Mac must be authorized for every Apple ID that was used to purchase music you want to play. The problem is, you may not remember what ID was used for a particular song. Fortunately, that is easy to figure out. In iTunes, select the song that is asking for authorization, and then select Get Info from the File menu. You can also just right-click the song and select Get Info from the pop-up menu. In the Get Info window, select the Summary tab or the File tab (depending on the version of iTunes you are using). This tab includes the name of the person who purchased the song, as well as the account name (Apple ID) that person used. You now know which Apple ID to use to authorize the song for playback on your Mac. In order to access that song, you'll still need the password for that ID. Even if you use the correct Apple ID to authorize music playback, you may still see a repeat request for authorization. This can happen if you're logged in to your Mac using a simple user account, which doesn't have the correct privileges to allow iTunes to update its internal files with the authorization information. Log out and then log back in using an administrator account. Once you're logged in with an administrator account, launch iTunes, select Authorize This Computer from the Store menu, and provide the appropriate Apple ID and password. Log out, then log back in with your basic user account. iTunes should now be able to play the song. If you're still stuck in the request for authorization loop, then one of the files that iTunes uses in the authorization process may have become corrupt. The easiest solution is to delete the file and then reauthorize your Mac. Quit iTunes, if it is open. The folder that contains the files we need to delete is hidden and can't usually be seen by the Finder. Before we can delete the hidden folder and its files, we must first make the invisible items visible. After doing so, you will be able to reauthorize your mac. Open a Finder window and navigate to /Users/Shared. You can also use the Finder's Go menu to jump to the Shared folder. Select Go to Folder from the Go menu, and then enter /Users/Shared in the dialog box that opens. You will now be able to see that within the Shared folder is a folder called SC Info. Select the SC Info folder and drag it to the trash. Relaunch iTunes and select Authorize This Computer from the Store menu. Because you deleted the SC Info folder, you will need to enter Apple IDs for all of the purchased music on your Mac. One problem you may run into is having too many devices associated with an Apple ID. iTunes allows up to 10 devices to share music from your iTunes library. But of the 10, only five can be computers (Mac or PCs that are running the iTunes app). If you have too many computers allowed to share, you won't be able to add any additional ones without first removing a computer from the list. Remember, that if you are experiencing this issue, you will have to have an iTunes account holder whose music you are trying to share make the following changes on their computer. Launch iTunes and select View My Account from the Account menu. Enter your Apple ID information when requested. Your account information will be displayed in iTunes. Scroll down to the section labeled iTunes in the Cloud. Click the Manage Devices button. In the Manage Devices section that opens, you can remove any of the listed devices. If the device you wish to remove is dimmed, it means you are currently signed in to iTunes on that device. You need to first sign out before you will be allowed to remove it from the device-sharing list.